Investors mistakenly believe that dividend paying stocks make better investments. A company paying dividends is thought to have a more concrete valuation and the dividends are beloved by retirees who can visually see the dividends supporting their withdrawals. In other words, dividends are loved because you can take your dividends to the bank and spend them. The math and science of factor investing is a little more complicated than this simplistic thinking though. You can calculate a stock’s dividend yield by dividing the annual dividend payout by the stock’s current price. Dividend stocks are those that have a high dividend yield. You can calculate a stock’s price per earnings or P/E ratio dividing the stock’s current price by the historical or expected earnings. Value stocks are those that have a P/E ratio. Notice that although all three stocks have the same dividend yield (3.75%), but they have very different P/E ratios ranging from a very low 9.3 to a very high 28.0. The lower the price per earnings the more potential there is for the company to reinvest their earnings into strategies that eventually increase their share price. The higher the price per earnings the more the company needs to grow their earnings in order to justify their current share price. These three stocks illustrate that measuring a stock simply by its dividend yield fails to take the important consideration of earnings into account. The price per earnings is a more significant measure for a stock’s future return than dividend yield. Valuation is one of the long term factors which differentiate the expected future mean return. Value stocks generally do better than growth stocks. And valuations compared with historical averages can help investors adjust static portfolios dynamically. JP Morgan puts out a nice Guide to the Markets each quarter. This graph is page 12 of the fourth quarter 2018 Guide to the Markets. 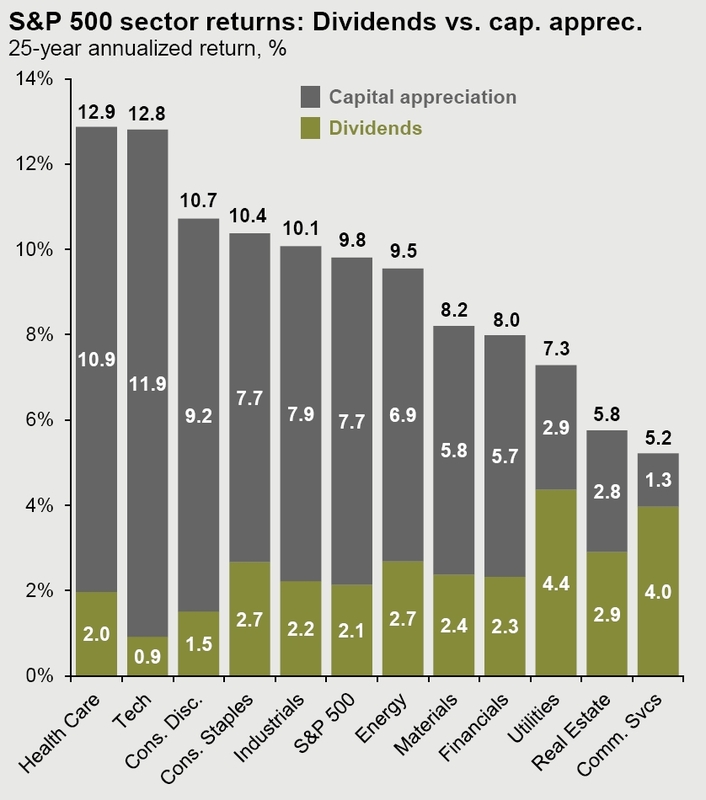 As this graph suggests, maximizing dividends may result in minimizing appreciation. Utilities, Real Estate, and Communication Services may have the highest dividend yields, but they also have the lowest capital appreciation. 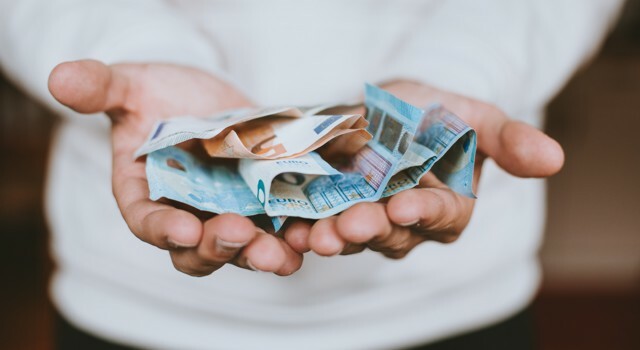 Additionally, even though qualified dividends are taxed at the long term capital gain rates, ordinary dividends are not qualified and subject to ordinary income tax rates instead making them a more costly way of being paid.